What Are Sweepon Sweepstakes? Are They Legit? What Is Sweepon and How Do You Win Their Sweepstakes? Have you heard of Sweepon and wondered whether they were legit? Who is behind the giveaways that they are always offering, and why do many other sites seem to offer the exact same prizes? Get the lowdown on Sweepon sweepstakes and how to win them here. Sweepon is a website owned by the Bauer Media Group, which a Hamburg-based company which also owns magazines like First for Women, J-14, Quizfest, and Woman's World and other properties around the world. The Bauer Media Group uses sweepstakes to create buzz and build excitement about their magazines, as well as to gather information about their potential customers. They generate revenue by asking entrants to watch short advertisements. The sweepstakes are promoted on the websites of their magazines. Sweepon is a site dedicated to rounding up all of the Bauer Media Group giveaways being offered at any given time. By visiting Sweepon directly, you can search for the company's sweepstakes by categories like Household, Tech, and Cash to find the prizes that interest you the most. Yes, Sweepon's sweepstakes are legit, as are the giveaways offered by the other Bauer Media properties. They really do award the prizes that they offer. 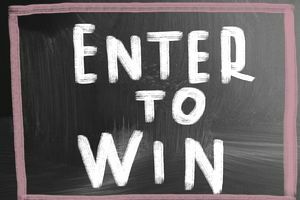 If you have been entering for a while and are getting frustrated that you haven't won yet, keep in mind that these are creative presentation sweepstakes, which means that the prizes are offered across many of Bauer Media Group's magazines. That means that the entry pool is most likely quite large and that your odds of winning are correspondingly small. However, they offer a great many prizes at any given time, and the ones with a lower value usually don't attract the same number of entries as the higher-value giveaways and might have better odds of winning. But no matter the size of the prize, real people do win them, and you might as well if you are persistent. After you submit the entry form, you'll be shown a short message from a sponsor. Once you've viewed the entry and clicked on a button to continue, your sweepstakes entry will be completed. You can increase your odds of winning in two ways: by returning to enter the giveaway again up to once per day and by entering through the other websites offering the same prize. You can find a list of the participating websites, including their direct links, in the sweepstakes rules. The fast way to get the maximum entries for each giveaway is to navigate to its page, open the rules, click to open each link in a new tab, and then quickly (but carefully) fill out each form and submit it. Using this method, you can get dozens of entries for each prize in just a few minutes. Should You Sign Up for Sweepon's Emails? Signing up for emails is not required to enter or to win Sweepon's sweepstakes. However, if you do opt in, your email address will be used only to notify you of new giveaways to enter. If you don't enjoy them, you can always unsubscribe. Your email address will not be shared with third parties. Whether you opt in or not, you should be sure that the email address you enter is correct; it's best to use a dedicated sweepstakes email address to enter and to check that address regularly. It's the only way that Sweepon and its partners have to reach potential winners. If you don't respond to a winning email within a certain amount of time, you'll be disqualified and a new winner will be chosen. How Can I See Who Has Won Sweepon's Giveaways? Sweepon is transparent about who wins their prizes. You can visit their Winner's Circle at any time to check out each giveaway's winners.